SNES classic Super Metroid went on sale for under a buck earlier this week, the combination of price and the game's status obviously resulting in a massive influx of new players. 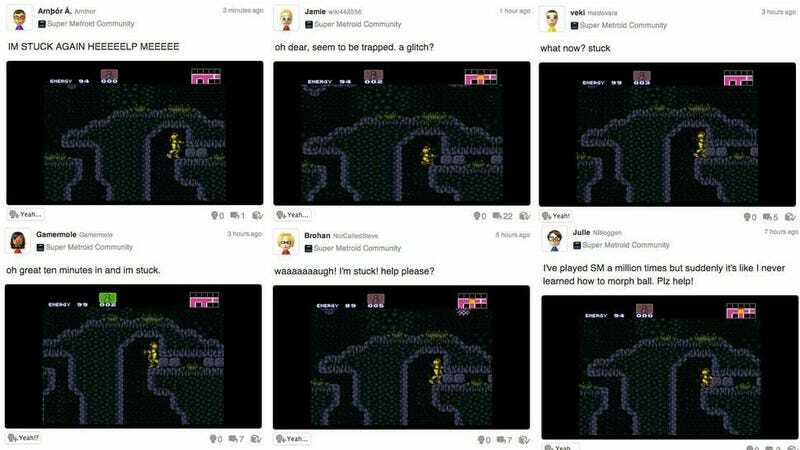 Players that, thanks to the wonders of the Miiverse, appear to be...struggling with 1990s game design. There's always the chance these guys are trolling/joking, but then, it seems just as likely that a generation of people who have grown up with proper tutorials and hand-holding are, well, finding it all a little difficult.